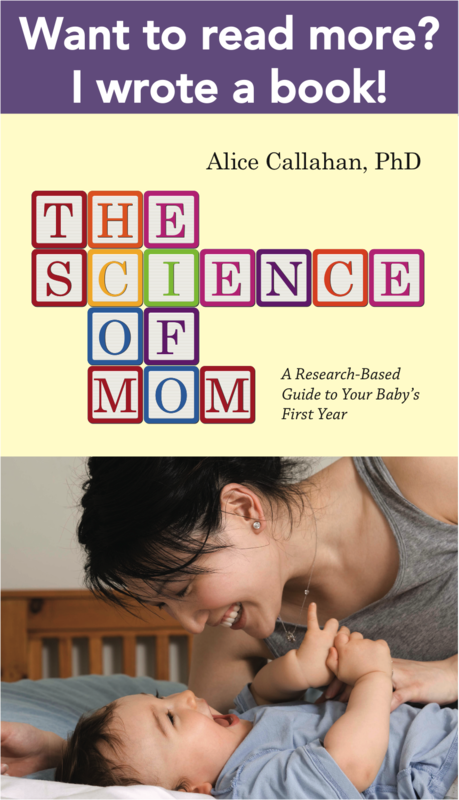 My book, The Science of Mom: A Research-Based Guide to Your Baby’s First Year was published by Johns Hopkins University Press in 2015. There it is! MY book, front and center on the parenting shelves of my bookstore! In my book, I tackle some of the most important questions we face as new parents. Just as I do on my blog, I focus first and foremost on how science can help clarify our parenting choices for us, helping us to sidestep parenting controversies and make decisions confidently. Not only will you take away a clear understanding of the topics covered in the book, you’ll also learn how to evaluate scientific evidence on your own as your children grow and you encounter new questions. Cutting the Umbilical Cord: When Is the Right Time? Just like my blog, you’ll find that I’ve included tons of references throughout my book so that you can follow the science. The book is all new material with very little overlap with my blog. Dr. Callahan isn’t bossy, and isn’t out to tell you what she thinks. Her book tells you what the science says, and explains how we know what we know, and what things we still need to learn more about. There’s humility and warmth, here, which I think parents of newborns will find reassuring. Blogger reviews on Uncommon Motherhood and Kendra Nicole. Johns Hopkins Press (use discount code HNAF for 30% off), Amazon, Barnes and Noble, Powell’s, Indigo, Kobo, and Indiebound – or order it through your local independent bookseller. 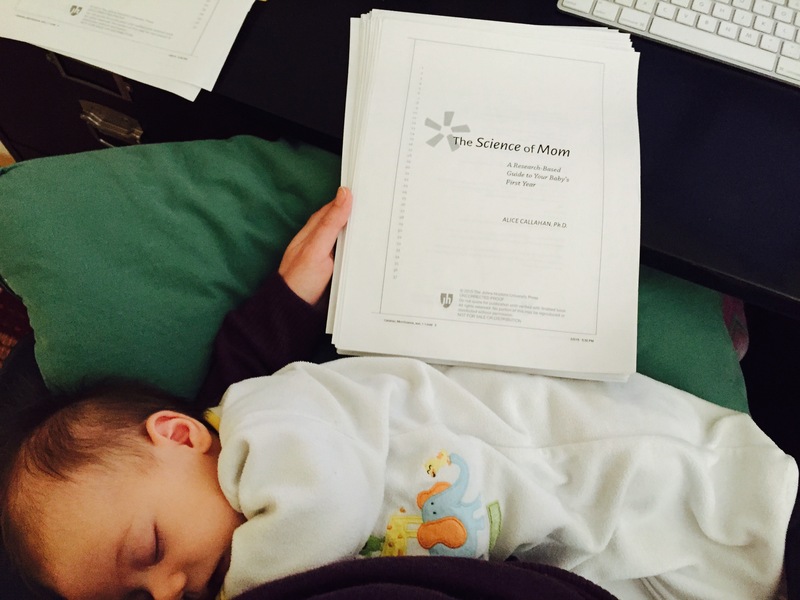 BabyM and I check over the page proofs for The Science of Mom in February 2015. I can’t believe I just found this blog! Thank you so much for sharing the fruits of all your hard work with us! This is exactly the kind of information I need. Looking forward to the book! Good luck finishing it up! I can’t wait until this book comes out! Not only will I be buying it for myself, but for every single baby shower I get invited to. Is it possible to pre-order the book yet? Not yet. 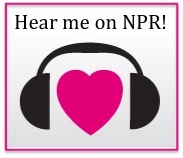 Subscribe to the blog, and I’ll be sure to announce it when it is! Thanks for your support! I just found your blog. I am really excited to read your book and follow your blog. I’m a forest modeler and my wife has laughed more than once about how much my science background has informed my parenting. Ha! Thank you! Glad you like the blog, and here’s to science nerds parenting! 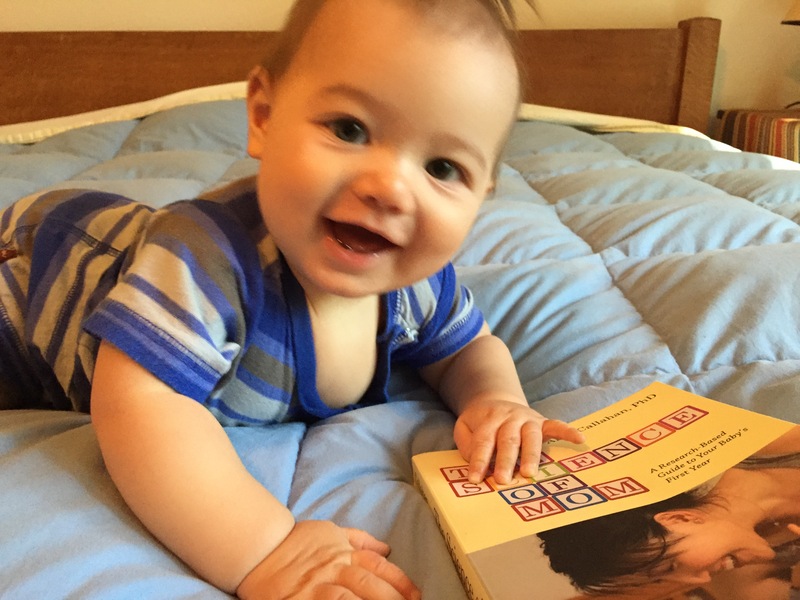 Love the book – will write a glowing review on Goodreads and have already posted to one FB baby group. I’d love a piece on Tylenol & vaccinations… I’ve read that Tylenol given for pain/fever can reduce the effectiveness of the vaccine (actually I think it was the viral load or something like that) but it’s unclear if this is actually a problem in terms of the vaccine preventing illness later on. And my pediatrician still recommends Tylenol, and my baby has gotten feverish the last two times she got shots… so I gave her some… but I’d love to know what we actually know. Also, HUGE thank you for the caffeine & breastfeeding article… I found that cutting back on my caffeine intake when my baby was a newborn dramatically helped with sleep (hers & mine), though everyone said coffee was no problem… your piece really helped me understand what might be going on. Kelly! It’s so funny, I’m working on a post about acetaminophen and vaccines NOW! Expect it in the next few days. And I’m thrilled to hear that you love the book. Thanks so much for spreading the word and reviewing it. It really helps a lot! Hi, I love your blog… am wondering if you are thinking about writing blog articles or a book about toddlers at any point… would love your insight on the next stages.. Thanks! 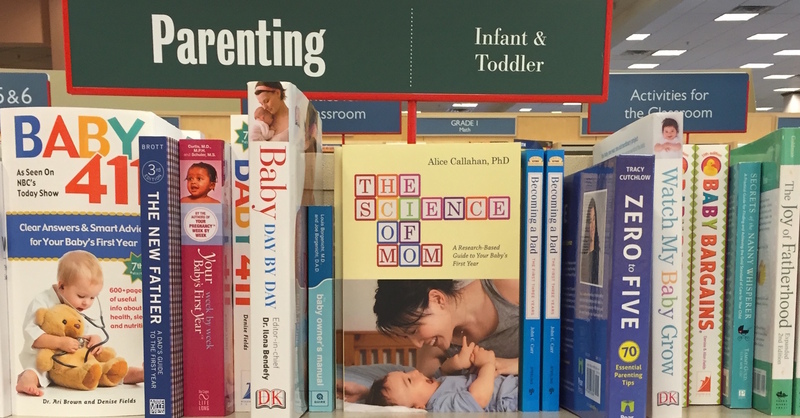 Science & Sensibility » Interview with Alice Callahan about Science of Mom: A Research-Based Guide to Your Baby’s First Year.